Apica LoadTest is an application and website load testing solution designed to assist users in ensuring that their websites, applications, APIs, and IoT are scalable. Core features of Apica LoadTest include pre-release testing, client-side statistics, and infrastructure indicators to measure the performance impact of increasing load to ensure applications perform at peak conditions. Results are visible in real-time, and error snapshots, waterfall graphs, and comparison reports give users further insight into page performance, issues, and failed requests. There are currently no reviews of Apica LoadTest. Usage based on number of virtual users (VU). The advanced scripting tool allows users to create complex test scenario scripts without writing code, for user journeys including checking bank account balances or booking flights. Pre-release testing allows users to identify bottlenecks in application performance in response to various loads, and compare all releases against benchmarks to ensure that service is scalable. Waterfall graphs give users detailed insight into page performance through minimum, maximum, average, and 90th percentile response times for each URL call, error snapshots allow users to identify the causes of failed requests, and multiple runs can be visualized in comparison reports to amplify points of contention and pinpoint issues in transactions. During testing, users can view screenshots and real browser render times, with additional browser metrics including DNS resolve time and time to first byte available in reports. Real-time results and feedback allow users to adjust parameters during testing to identify optimal concurrency, peak, and breakage points. Below are some frequently asked questions for Apica LoadTest. Q. What type of pricing plans does Apica LoadTest offer? Q. Who are the typical users of Apica LoadTest? Q. What languages does Apica LoadTest support? Q. Does Apica LoadTest support mobile devices? Q. 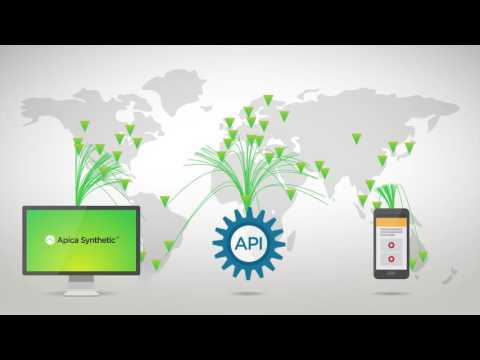 Does Apica LoadTest offer an API? No, Apica LoadTest does not have an API available. Q. What other apps does Apica LoadTest integrate with? Q. What level of support does Apica LoadTest offer?